The Country Called Africa What is Africa, is it a continent of 54 countries, is it one huge geographical mass, is it a history, is it a consciousness, is two sub-continents – one Arab the other, well, Black Proper – or is it a cultural expression? I think Binyavanga Wainaina settled one of the vexing questions about Africa: how to write about the continent (or not to write about it, for it is the same thing really) with his wonderful essay “How To Write About Africa”. That still left unsettled a few other issues, especially the basic one; what is Africa, is it a continent of 54 countries, is it one huge geographical mass, is it a history, is it a consciousness, is two sub-continents – one Arab the other, well, Black Proper – or is it a cultural expression? Clever people; writers, economists, political scientists, aid workers, and other such folk are almost going to war over this. The politically correct position is that Africa is complex, and each of the countries is different, and it is wrong and simple-minded to overgeneralise. Yes, and No. The answer as to whether Africa is one big country (a messy one at that), or several countries in a continent, some terrific, others hopeless, has been becoming to me slowly. Our daughter used to attend a study group on the weekends along Ngong Road in Nairobi. I would drop her off, and park the car across the road nearby under some trees. I would sit there reading a book, news magazines, or working on my laptop – sometimes for four hours – as I waited. There is a small green park there, and on a couple of occasions I noticed that a group of young Ethiopians would arrive carrying plastic bags and sit around. They would open the bags and take out food and share it. By the time they were done, there would be over 20 of them. Then they would start playing a football game. I got interested, and was told by mechanics nearby that they were Ethiopian refugees and exiles. Sometimes, I was told, Eritreans exiles also gathered at the spot. I wouldn’t have known that just by looking. Then one Saturday I got the time for an appointment I had in central Nairobi terribly wrong, and turned out I had to wait for three hours. decided to go and “pass time” at Nairobi’s St. Paul Church. I had family and friends who used to go there on Saturdays, and they told it was a “very modern” and short service. I got the time for that wrong too, but there was a service going on nonetheless. However, it was in French. Turns out it was the service for French-speaking Congolese, Burundians, and Rwandese who live in Nairobi as political exiles, economic refugees, or plain refugees. I got immersed in trying to quantify the phenomenon of “micro-Africa” in Kenya, and found that they were many; Somalis from Somalia, Nigerians, Senegalese, Sudanese, Zimbabweans, name it. African countries were indeed very different in the colonial period, and the 30 or so years after the 1960s independence period. Those were the days when, if you were calling Rwanda from Kenya, the international telephone was routed through London. It was quicker to fly to Bujumbura from Entebbe, in Uganda, by taking a Sabena flight to Brussels, and then from hop on another Sabena plane from Brussels to Bujumbura. Some of this still happens. When I was in Dakar, Senegal, recently, a Mozambican editor friend arrived there one day late. Why? Because the quickest flight he could find to Dakar from Maputo was via Portugal, where he would also get his visa to Dakar! Still, things were not always what they looked like. Slavery and colonialism, divided Africa, yes. However, in a perverse sort of way, they were also the first globalising forces on the continent. It brought Africa in contact with the rest of the world in a very painful way, but slavery and colonialism also became the first mass collective experiences for Africans. However, the real Pan-African revolutionaries were the refugees. True, they were running away from murderous armies and warlords at home, but the Barundi refugees, for example, didn’t need to go through Brussels to come to Uganda. They took matters in their own hands, or rather legs, and hoofed it through forests, crossed rivers, ignored borders, until they found a safe valley in another country. these same countries by plane. They also tend to have greater impact, because they do so at the retail level – imagine, for example, how much Somali refugees have changed the areas around the Dadaab camps in northern Kenya. They drink the local beer, date and marry the local villagers, and many times destroy the local environment. The latter is harmful, but it is still a serious footprint left behind. I have met many Kenyans whose parents are Ugandans who lived in Kenya both as refugees and exiles in their tens of thousands in the 1970s and early 1980s. Nearly three out of five times, I have been able to figure out, despite their Kenyan names, and before they told me that they were partly of Ugandan parentage. It is this untouchable “thing” Africa that you will find increasingly many people sharing. But more direct forces are contributing to turning Africa into one big country, and removing the old distinctions. Most of it is happening by accident. One of them is football. When the African Cup of Nations was first played in 1957, there were only three participating countries. 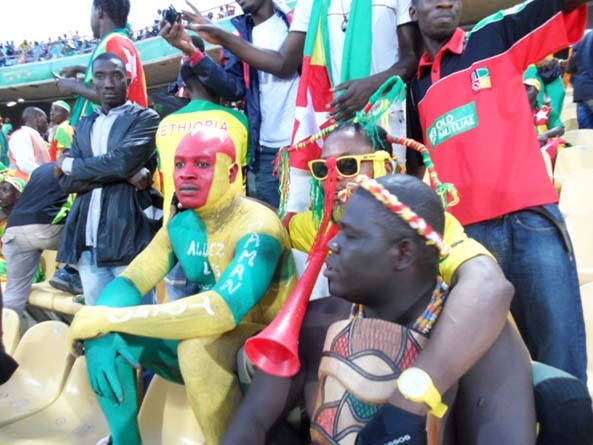 Today, it is huge and we Africans get emotionally entangled in it (although we don’t fill the stadium seats). Today, there are many things you find in all corners of Africa – Nigerian films, Desperate Housewives, and the English Premier League (EPL). English Premier League, especially. Football loving Africans are united as fans or enemies of Manchester United, Chelsea, Arsenal, or Manchester City. While the EPL has a considering homogenising effect, it wouldn’t have happened without DSTv and the widespread phenomenon of the sport pub. It is old in England, but the sports pub has not celebrated its 20th birthday yet in Africa. England’s influence in Africa, and one of its more enduring effects, has happened long after the end of British Empire and colonialism – and has not needed a single soldier or bullet. All this is before we take into account the role our corrupt and murderous generals plays in homologating Africa. Nearly 30 years of military dictatorship in Africa – except a few countries like Kenya, Botswana and Mauritius – again joined the African masses in common suffering. Famines too did the same. 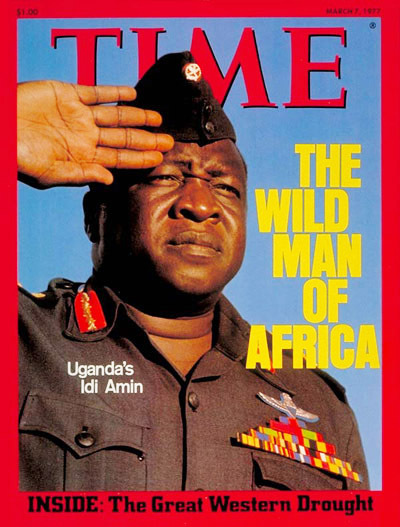 A mad general in khakis in Nigeria, or an Idi Amin in Uganda, became instantly recognisable in Egypt or Guinea. A starving child in Niger, brought sad memories to a grandmother in Ethiopia. These were not Africa’s proudest and best moments, but they were our moments, the chisels that made our collective history. Just like the joy of the Cup of Nations is a collective celebration, the tragedy of famine became in many ways a continent-wide bond of agony. Lately, it has been the turn of Dubai to remake Africa. If you walk around Nairobi, you will see many shops – especially the fronts – shielded off and being been redone. When they re-open, they all look like the ones in downtown Dubai. And most of the goods are from downtown Dubai – or somewhere in China. They are doing the same in Kampala and Dakar. The shops off Cairo’s revolutionary Tahrir Square, were among the first to get this Dubai look in the early 1990s. I saw the same thing in Accra and in Maseru, the capital of Lesotho, and Addis Ababa. People I ask from other African cities tell me this “Dubaisation” and “Shanghaisation” is happening in their cities too. Soon, most shops in African cities will look like the shops in Dubai and Shanghai. 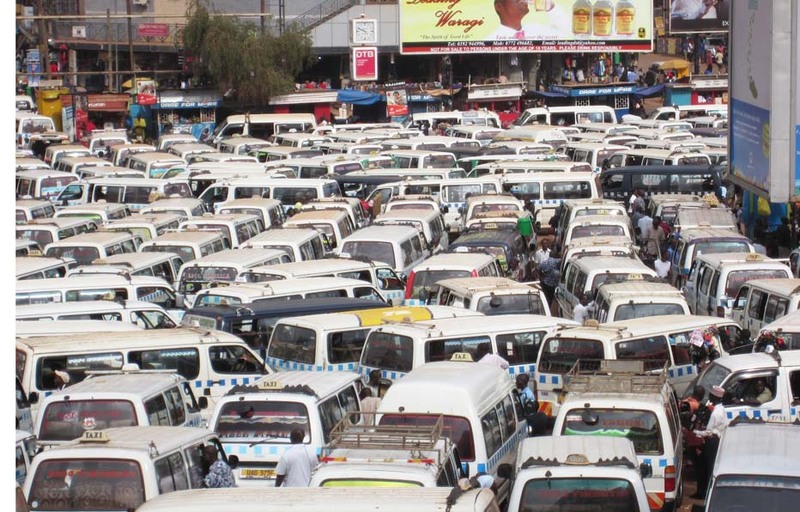 I can go on and on, and we will not mention the fashion and the ubiquitous braids, and the insane matatu or daladala minibuses. The short of it that if you live in an African city, there is little to nothing that will be unfamiliar to you to you anymore, no matter which other African city you go to. Africa is becoming one big – and largely unwieldy – country. It is not the united Africa Kwame Nkrumah dreamt of, or Muammar Gaddafi ranted about. It is the one the people have made for themselves.